May was a very busy month for us. We are now in our new home. Our Open House went very well and we were thrilled that so many stopped by to share their excitement with us. Thank you to those who have signed up to volunteer. If anyone wishes to help us on projects, please send me an email. We appreciate our volunteers-you keep this organization strong! We still need funds to finish the carriage house, to make it our unique Arts Gallery so we can hold workshops and music events. We still need your help, so if you have not yet made a donation, please mail us a check or donate online now. Here is an opportunity for you to help the environment and GALA. Go to the Hannaford store in GARDNER ONLY, and purchase a few of the Reusable Bags with the good Karma message. For the whole month of June if you purchase the light blue bag with the orange handle, $1.00 is donated to GALA. It's good for the arts, good for the planet, and we get a few bucks! Thank you to Hannaford for choosing us and giving us this opportunity. Don't forget we have a Poetry Open Mic coming up on June 12, 2-4, Our first Painting class will be held on June 25, 10-2 and a Plein Air June 19, 10am at Lake Dennison. More detailed info of these events is on our website, galagardner.org. We are looking for people who are interested in giving workshops. Please email me if you are interested, at Giordano@verizon.net. The warm weather is finally here, get out there and do what you do best! Buy Reusable Bags in June to Support GALA & the Arts! GALA is thrilled to have been selected to be a part of the exciting and innovative Hannaford Helps Reusable Bag Program, designed to support local nonprofits. For every blue reusable bag with the good karma message purchased at the Hannaford store located at 21 Timpany Blvd in Gardner, MA during the month of June, $1 will be donated to GALA to help us continue our work for the arts in the community! We have been invited to the home of GALA member Susan Ellis, located on a beautiful island in Lower Naukeag Lake in Ashburnham. This location provides plenty of lakeside scenery with a view of Mt. Watatic in the background. 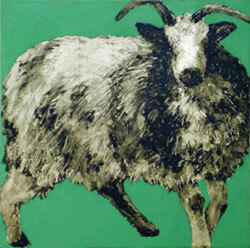 If the weather is inclement Susan has a large studio and plenty of antiques and curios to keep us busy. Participants are encouraged to bring bathing suits and stay after painting to enjoy the lake. Join us for an afternoon of poetry - share your own work, a favorite poem by another, or simply sit back and enjoy listening. A sign-up sheet will be available at the door for anyone wishing to participate. Time allotted to each poet will be approximately 5 minutes, but will depend on how many sign up to read. 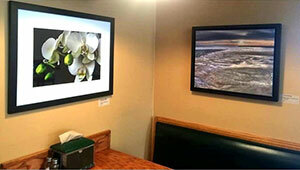 While at the Arts Gallery, take time to enjoy the current art exhibit. After the open mic, please feel free to stay and mingle and meet the other poets and artists. Light refreshments will be provided. This event is free for both the participants and the public, although a $5 donation would be appreciated and will help us to continue our support of the arts in the community. For more information, contact Paula J. Botch by phone: 978-575-0863 or email: cohen5kids@yahoo.com. Silent Auction Bidding ends today, June 1st! Artwork is on display in the ReStore. All proceeds benefit Habitat for Humanity NCM builds. 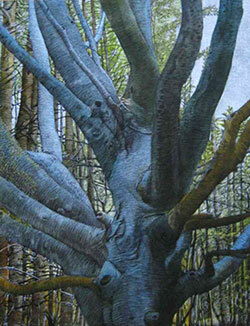 Joe's scratchboard, Beech, has been accepted into Branches, Brambles and Roots; an exhibition celebrating trees, to be held June 25 to July 31 at the View Gallery in Old Forge, NY. Joe's scratchboard, Foggy Wood, has been accepted into the Copley Society of Arts' summer show; Ship to Shore, to be held July 7 to August 16 at the CoSo gallery at 158 Newbury St., Boston. 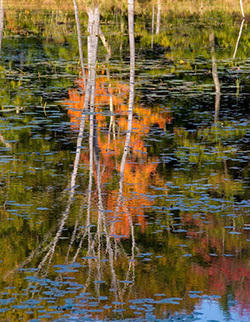 GALA members Rick Flematti and Paula Botch are contributors to newly arrived first publication of Uniquely Quabbin,"a collaboration of Athol Historical Society, Athol Press, Haley's Publishing (Athol), and the North Quabbin Chamber & Visitors Bureau." 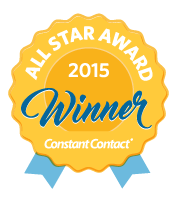 Contributors are from throughout the Quabbin region. 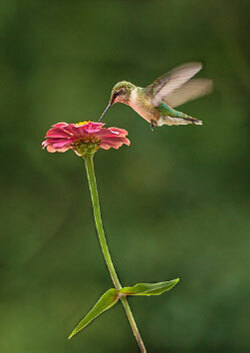 Rick's photographs are featured throughout. Paula's article and her photographs cover several historical societies and museums in both North and South Quabbin towns. Here's a link to the magazine: www.uniquelyquabbin.com if you'd like to take a peek! The next issue is due out in the fall. The work of Naida Knox will be on display at the Levi Heywood Memorial Library during the month of June. Naida's favorite medium is watercolors. Please see the Levi Heywood Memorial Library website for hours of operation. The Athol Public Library will host an exhibition of landscape paintings by Athol resident Susan Paju during the month of June. Paju says most of the paintings in the exhibit originated from walks at the Quabbin and in and around area conservation lands. The emphasis is on shifting cloudy skies, the reflective surface of water, and long, late-day light. Paju says of this exhibit, "Although these are not abstract paintings, my interest in painting is more in the abstract emotional aspects of atmosphere, light and texture, than it is in creating realistic descriptions of particular places." Paju has a BFA in painting and an MLS in library science from the State University of New York. 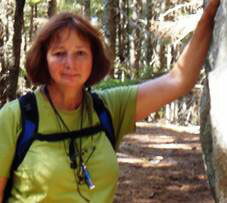 She is employed as a reference librarian for the Town of Acton, commuting from her home in Athol since 1999. She says her long commutes give her lots of time to study the sky. Her paintings focus almost exclusively on landscape painting in acrylics, oils and collage, represented in various degrees of abstraction. She says, "I love the North Quabbin region and the commitment the people have to land and nature preservation. It is a great place to experience and fall in love with landscape." The exhibit, in the library conference room, will be up from June 1 to June 30. A reception will be held on Tuesday, June 7, from 6:30-7:30 p.m. All are welcome. Local artists are celebrating their Art Show Reception on Saturday June 18, at 6 pm-8 pm, 1 Main Street, Lunenburg, MA. We will have refreshments and live music with Jessa Potts performing for us at the reception. The show is curated by Iphie Burg; It represents 14 local artists, displaying 28 pieces of art work. Come and join us with some refreshments, enjoying art from local artists in music and fine art. The Jaffrey Civic Center is delighted to host a pastel exhibit featuring artists, Karen Israel, Maryann Mullet, and Pam Short. The exhibit runs from May 23 through June 25th in the upstairs Cunningham Gallery. An Opening Gallery Reception will be held on Friday, May 27th from 6-8 pm in the gallery and will include Scott Mullett playing the saxophone accompanied by Draa Hobbs on guitar. We hope you can join us. 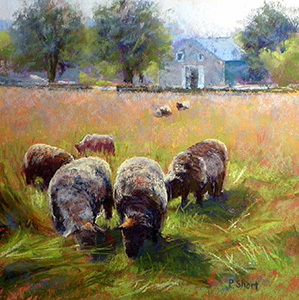 A nationally recognized award-winning painter, holds Master Pastelist status in the Pastel Society of America and the International Association of Pastel Societies. Her work has been published in the Pastel Journal where she has twice won Third Place in the Portrait and in the Wildlife Categories of the Pastel 100. 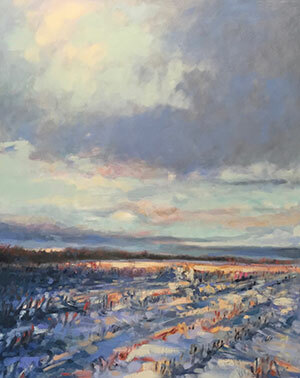 Karen has established herself as an accomplished artist through elevated status in professional art associations and through teaching and live demonstrations. 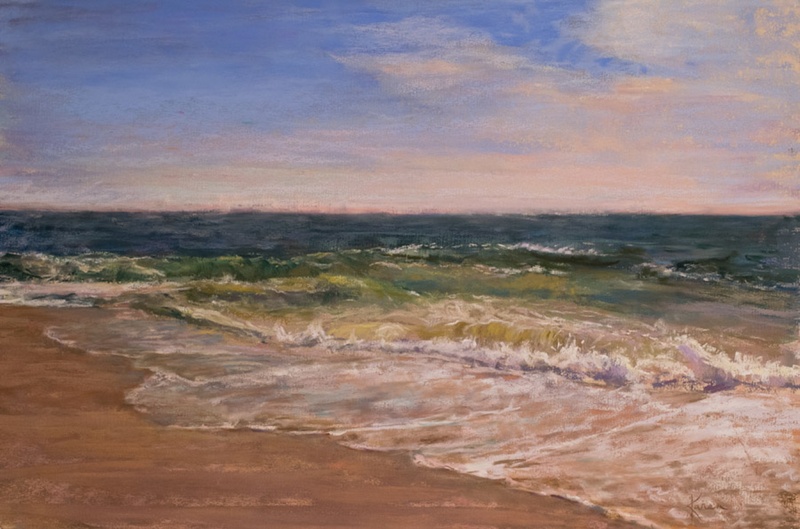 Karen is Signature Member and President of the Connecticut Pastel Society. 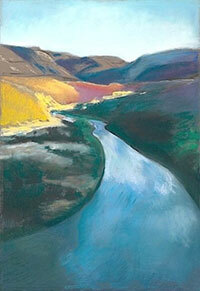 Her work can be found in many private and public collections in the United States and Canada. 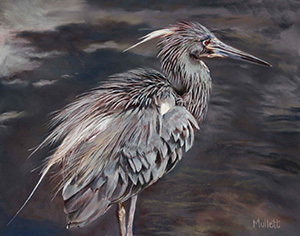 Karen has had work exhibited at several museums and galleries in Connecticut and New York City, including the Salmagundi Club, The National Arts Club, The Slater Memorial Museum and the New Britain Museum of American Art. A Dublin resident, Maryann initially worked in graphic arts and illustration, switching to pastel painting six years ago. Her inspiration comes from nature, whether it be close-up views of flora, luminous berries and vegetables, or birds and animals. 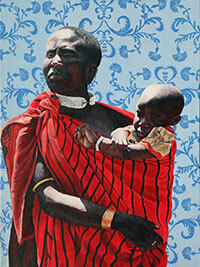 She has won numerous awards for her paintings and has been published in national magazines. "Painting feeds my soul. It relaxes me yet challenges me. It makes me feel complete. I am blessed to be able to paint and I'm enjoying the journey." Maryann's paintings can be viewed at www.maryannmullettart.weebly.com. The Jaffrey Civic Center is very pleased to announce the third exhibit in a series showcasing the work of local young artists under the age of 30. Andrea Cornelius will be exhibiting a mixed media exhibit at the Civic Center beginning Friday, May 27th through June 25th in the ground floor Auditorium Gallery. An Opening Reception for her show will be held on Friday, May 27th from 5-7pm. Andrea Cornelius is a senior and Advanced Placement art student at Byram Hills High School in Armonk, NY. She has been a summertime visitor or resident in Jaffrey her entire life. This fall, Andrea will be attending Colgate University with plans to study biochemistry (as a foundation for possible graduate study in forensic science) as well as studio art. She is also an accomplished musician, having played trumpet in the New York All-State Orchestra in addition to her high school Wind Symphony and Jazz Band. As this exhibit demonstrates, Andrea has enjoyed experimenting with a broad variety of media, including graphite, pen and ink, acrylics, pastels, watercolor, charcoal, printmaking, and photography. She has also designed logos, T-shirts and tattoos, as well as fingernail art. She draws inspiration for some of her subject matter from her many travels with her family, including Africa, Europe, South America, the Arctic, Florida, and yes, New Hampshire. Andrea appreciates the Jaffrey Civic Center's willingness to let her share her work, and sincerely hopes you enjoy the exhibit. 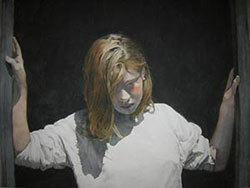 She has previously exhibited her work in the Armonk Outdoor Art Show in both 2014 and 2015, the Katonah Art Museum Student Exhibit in 2016 and has received 5 National Scholastic Art Awards. The Jaffrey Civic Center will be hosting a mixed media exhibit by local artist, Stephen Gehlbach beginning June 3th through June 30th, 2016 in the display case galleries on the ground floor. The title of the exhibit is: Water: Forms and Patterns. There will be an opening reception on Friday, June 3rd from 5 to 7 pm. Stephen Gehlbach is a mostly-retired academic physician who lives in Jaffrey. He spends increasing amounts of his time trying to capture aspects of nature through his Sony mirror-less lenses. Over time his images have evolved from documentation of wildlife and landscape to an emphasis on more abstract representation of nature's forms and colors and patterns -trying to see this world more clearly. "It's the most abundant compound on earth. It makes up over 80% of our planet's surface (and 60% of our bodies). Life could not exist without it. Water is a marvelous compound-not simply for its vital functions but for the multiplicity of its forms. We experience it as mist and fog and dew, as cumulus and cirrus clouds, as rain and snow, as crystals of ice, as reflections or ripples on still ponds, as musical streams, as roiling waves or receding ocean eddies. We feel it, hear it, taste and see it. This photo essay is all about water- in its varying forms- as visual patterns. These abstractions help us see the too familiar with greater clarity and argue for another of the compound's attributes- water as art." Stephen Gehlbach. Join us for snacks, grab a drink at the Bar and support the local art scene! 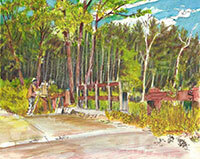 This month of June we are hosting the works of artist Carole Farnsworth Rabe, originally of Shirley. Join us for a whole new show on June 8th! Work will be up June 4th - July 3rd. 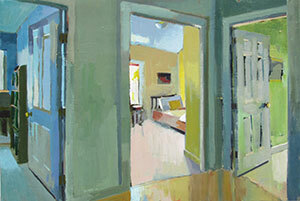 I receive my inspiration from intense observation of my surroundings and my response to what I see. The way light hits a countertop or the side of a chair is the spark that gets the painting started. The color of light influences the color of objects and creates interactions between disparate things. My paintings are about the relationships between these elements. My imagery is personal; I need some connection to my subject matter in order for me to claim it in a painting. I work from direct observation; I am very interested in how the human eye perceives the things around us, and how the hand and heart work to put the image down on canvas. It's a wonderful feeling when the reality of the painting takes on a life of its own and exists on its own, apart from the objects observed. It seems like such a simple thing but there is something magical and transcendent about this aspect of representation that has a very strong power for me. Join the printmaking revolution as we leave the petroleum-based era to welcome in the bio-based era of lithography. This class is suitable for novices and those returning to lithography and will de-mystify the hazardous and seemingly alchemical processes of the past. Learn how to use new, non-toxic and simple etching techniques using environmentally sustainable, plant-based materials and re-useable Century Plates. Artists/students who like printing with polyester lithographic plates (Pronto Plate lithography) will really enjoy the richer tonality, reciprocity of mark-making, durability, ease of use and predictable results that Century Plates provide. The ability to re-grain Century Plates creates more fluidity and spontaneity in the artists' working process. This new form of lithography is excellent for creating gestural, expressive images and producing multiple-color prints. Sign up for one workshop or join us for them all! 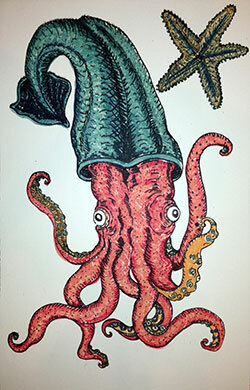 Cost: $125 includes black ink, modifiers, processing materials, tracing paper and newsprint for class use. Please bring images/ideas to draw from and paper to print on. Some printmaking paper will be available for sale. Material Fee: $30 for one 1/4 sized multiple-use Century Plate and #3 litho crayon Questions? Registration ends Friday, June 10th. Payments can be made on the day of the workshop by check, cash or credit/debit card. Using our Century Plates as guides, we will dive into a painterly process to mix the luxurious hues of Akua water-based pigments with the rich, graphic tones of lithographic prints. For those of you interested in learning traditional multi-plate registration, we can cover that, too. Cost: $125 includes Akua pigment ink, modifiers and newsprint for class use. Please bring your processsed Century Plates, prints, favorite brushes and paper to print on. Some printmaking paper will be available for sale. Questions? Registration ends Monday, June 20th. Payments can be made on the day of the workshop by check, cash or credit/debit card. Corinne will be teaching one class and two workshops at fabulous Danforth Art in Framingham this Summer! Follow the links to find out more and sign up. Come join us for our Summer Academic Adventures that couples academic learning with hands on projects - the fun way! PAINTERS & SCULPTORS Ages: 8-12 Cost: $249 Explore the world of art with watercolors, acrylics, plaster, clay, wood or mixed media. Dress for mess-bring a smock & a snack. Supervised outdoor activities complement this program. 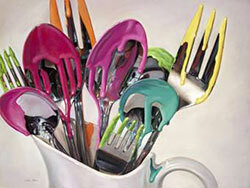 TEEN ART SCHOOL Ages: 13-18 Cost: $249 A studio art program designed for teens seeking to create a portfolio. This year's focus will be watercolor painting, printmaking & mixed media drawing. Bring a smock & a snack. The Jaffrey Civic Center is looking for a summer intern for approximately 10 hours a week. Flexible days/hours. This would be a fun opportunity and great resume builder for those interested in art and needing some volunteer credits for either high school or college. Responsibilities include general phone and computer work, greeting guests and patrons, updating artist and patron lists, assisting the Exec. Director with hanging art shows, planning venues/opening receptions and general duties related to the day to day operations of the Center. 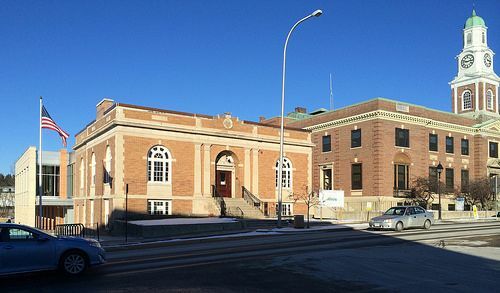 The mission of the Jaffrey Civic Center is to provide and sustain a public venue where citizens of the Monadnock Region can pursue artistic, educational and civic activities. The Center's goal is to contribute to the cultural enrichment and enlightenment of the community. Contact Regina for more info at 532-6527.